Mining with Drones: Smarten up your mine operations. Mining industries are highly exposed to fluctuations in price and demand. With a steady decline in mineral pricing impacting on the profitability and sustainability of mining operations, mine operators are constantly forced to looking for ways to safely improve productivity and reduce costs while maintaining safety standards. Drones are often described as ideal for jobs that are Dirty, Dull and/or Dangerous. If ever there was such a job it would be on physically difficult to navigate open cast mining sites, or quarries. Combining the bird’s-eye-view of a mining site with being equipped with the latest mapping (as well as tracking and reporting) technology, drone technology is perfect for aerial mapping and scoping of these sites. Like with many other industries, mines are also able to benefit from the advantages of ‘digital twinning’, ie: having a digital model of a real world structure. This is done by creating ortho-mosaics, digital surface models and three-dimensional representations of mine sites, which can then be viewed and annotated, without the need for specialist software on the customer side. With the ability to collect data from above the downtime associated with surveyors moving around a pit using terrestrial surveying instruments is eliminated and safety is improved by vastly reducing the time workers spend on site. Compared to the traditional ground-based surveying methods to calculate stockpile volumes, drones provide a huge benefit without sacrificing accuracy. Not only are drones are safer, faster, but can perform these surveys for less than half the costs of traditional ground-based volumetrics. 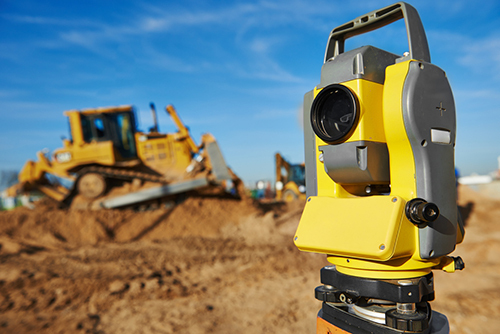 A ground-based surveyor would measure elevation every 5–10 feet on each pile. Not only would this take a lot of time and put the surveyor at risk climbing up and down the piles, but also result in relatively few data points, compared to the digital surface area captured by a drone. It would typically take a drone about 30 minutes to cover the same size that would take a full day to cover with traditional methods and the processed dataset available in the cloud platform within 24 hours. Accurate volume calculations and comparisons can be generated in seconds, and all measurements easily exported. A recent study showed field work for an 85 Acre site to last 4 days with drone including processing whereas with traditional survey field work lasted 13 days. The ease of surveying stockpiles with a drone means site teams can capture data much more frequently, improving run of mine management and ensuring more consistent grades through the mill. At the same time, drones remove the risks that come with having survey personnel physically moving around the worksite. Drone data provides an accurate and up-to-date visualization of worksites allowing for better pit and dump design and management. With regular flights, sites can build up a visual record of changes over time, allowing site managers to check weekly/monthly pit volumes and compare the current surface against previous datasets. By overlaying KLM design files on a 3D model, teams can check conformance of the actual surface and determine the exact volume of material that needs to be extracted to meet the design. Modeling sediment flow on drone-captured elevation maps also allows for better planning of tailings basin operations. Drones are the perfect tool to quickly and inexpensively inspect hard-to-access areas. High-resolution images, including details and aspects that may not be visible from the ground, are used by multiple departments in a variety of inspection workflows. environmental departments ensure that site boundaries are preserved and protected areas are not disturbed. helps geologists perform accurate geotech mapping and rock face inspections, and assists in the close monitoring of fixed plant. By being able to access data from various locations, all centrally and securely stored within the cloud, allows specialist teams to manage and service more sites than previously possible. Using the latest in 3D technology, drones are able to accurately render overviews of any terrain, no matter how inaccessible or hazardous. In addition, many drones are capable of transferring those images (and related data) to operators for planning and tracking purposes, in a matter of minutes. As above, using drones for mining surveying saves time and energy, increasing survey speeds and, ultimately, boosting productivity. Cutting down on travel time, drones can scan an area much more quickly (and therefore cost-effectively) than more traditional mapping methods. Less maintenance and repair costs. A drone survey which, taking place from an aerial perspective, can save expensive downtime hours associated with disruptive and time consuming surveys on foot. With remote surveying means, drones are able to avoid potential hazards and remove a large amount of the risk associated with physically working on a mining site and surveying mining landscapes, infrastructure, or stockpiles. The uneven and challenging terrain can result in hazardous working conditions for surveyors traveling on foot. This makes them useful for operations such as blasting and means that human surveyors can spend less time on the mining site, facing potential hazards such as cave-ins. & Copyright 2017 JetLabs. All Rights Reserved.